Tupperware used to be sold in neighborhood parties. They were fun. You saw everyone in the neighborhood and got the opportunity to buy some kitchen storage containers that you couldn’t buy in stores. There is an old story about one Tupperware salesman who was all thumbs. He arrived at a party with a big box of Tupperware products and a catalog, but this man did not know his business. He took each item out of the box and could not remember its name or price or even what it was used for. He was an embarrassment to the group. After about ten minutes watching him flounder around, members of the party would help him. They took items out of his box, looked them up in his catalog and figured out the prices for him. Soon, everyone in the room was assisting this helpless man. By the time the party was over, this man had sold more Tupperware than most salesmen sold in a week. In fact, it was his standard method of operation. He always appeared befuddled. He sold Tupperware by getting customers involved. That is what is happening today on the web. Instead of the standard, “We demonstrate, you watch”, companies are learning to let customers come behind the counter and figure things out for themselves. In many cases it is proving highly profitable. There has always been a distance between suppliers and customers. This distance is typified by the counter. The clerk stands on his side, ready to answer questions and ring up sales. You stand on your side waiting for service. You are not supposed to invade his space. All of this is changing with the web. The web permits customers to get instant access to lots of information that was available previously only through telephone calls or personal visits. Federal Express was one of the first to start it with their package tracking system. Today, anyone can enter a FedEx package number on the FedEx site, and instantly find out what has happened to the package at each point in its journey. Before they had this web system, you could call a FedEx operator and get the same information—you still can today. But by going to the web, you can get the information faster, you never get put on hold, and you can print out all of the information on your PC printer. It is a wonderful system for the customer. How is it for FedEx? It is a huge cost saving! Toll free calls to operators cost companies between $2.00 and $7.00 per call, including the cost of the call and the cost of the operator. Web visits cost absolutely nothing, once the system is set up and running. Hundreds of companies are saving money and building customer relationships through customer service on the web. These functions generate more profits than all the direct web consumer sales put together. Industry has discovered the value of loyal customers: they buy more, buy more often, are cheaper to serve, have higher retention rates, and are more profitable than newly acquired customers. Marketers have discovered that it is possible to influence the level of customer loyalty through two methods: recruit the right kind of customers to begin with, and treat them very well once acquired. Excellent customer care is the most important method for improving customer loyalty. Customer service personnel are the front line troops in the battle to win customer’s loyalty. To provide good customer care, customer contact personnel have to be empowered with information and the authority to make decisions and to act in the customer’s behalf. Customer service, however, is expensive. At a cost of $2 to $7 per call, with thousands of calls per day, companies have seen a significant drain on the bottom line. Customer lifetime value analysis must be used to determine whether the helpfulness and relationship building is worth the cost. In some cases, companies found that it was not paying its way. Most banks that have done profitability analysis have discovered that about half of their customers are unprofitable. A good part of the lack of profits can be traced to the expense of customer service. The Internet is gradually replacing the customer service rep. Instead of paying for a toll free call, and the cost of a customer service rep reading information off a computer screen, companies are learning that their customers can look at that same screen directly on the internet, and get the answers themselves. What’s more, customers like it better. This is real relationship marketing. Amazon showed us the way: “Welcome back, Arthur. 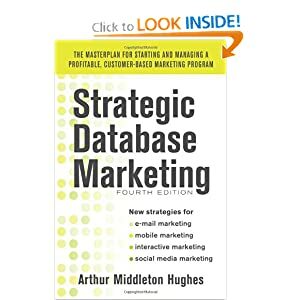 If you’re not Arthur click here.” This is wonderful one-to-one marketing. Many companies have copied this method. They are finding that it works. We have eliminated the CSR and the telephone call. Instead, customers, using the web site see the same information that the CSRs see. They place the same orders, using the same credit cards. One company was spending almost $50 million per year on CSR functions. They were fielding 6% on the web. A consultant estimated that if they could raise that percentage to 30% of their CSR work to their web site, over a three year period, assuming a 15% annual growth rate, they could save more than $20 million per year in three years. That is the promise of the web. These are numbers that go right to the bottom line. Profits like this can come about only if customers will use the web instead of calling a CSR. How can you get them to do that? The web site has to be as good as or better than the services provided by a CSR. Study what your CSRs are doing and saying. Design your web site to do the same thing, but then go one step further. Provide customers with lookup functions that are more sophisticated than anything that a CSR could do. The web site has to be publicized so that your customers know about it. The web site has to be personalized. It has to have the same friendly personal relationship that a good CSR has. Amazon says, “Welcome back Arthur” not just because it is a neat thing to say. They say it because it keeps Arthur coming back. The web site should also have a Live Agent function. Studies show that 74% of web shopping carts are abandoned at checkout. The reason is that at the last minute, people have questions that the web site doesn’t answer. You have to put a button on your website that provides a text chat with a live agent. CSRs can handle four text chats at once. This software is provided by several companies, including www.liveperson.com. Once your web site is as good as a CSR, you can measure your success by the percentage of your customer service and orders taken on the web vs those by a live agent.